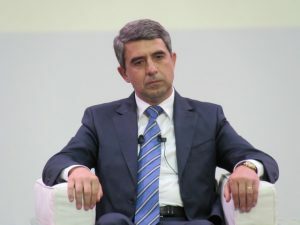 Small companies create over 70% of the jobs in Bulgaria, according to President Rosen Plevneliev. Plevneliev handed Tuesday an award to the winner in the first national competition for successful small businesses titled “The Big Small”, according to reports of the Bulgarian National Radio. There were 15 finalists in the competition, all of them in the sphere of production and services. The competition seeks to encourage entrepreneurship. “The small ones are the big ones in the Bulgarian economy. They create over 70% of the jobs. They create prospects for the development of Bulgaria’s regions and their owners put their heart into everything they do. Let us back the e-government because the truth is that the small ones cannot afford expensive lawyers who will go around municipalities and ministries to secure licenses. Let us back the upright management of EU funds because Bulgaria managed to implement projects at over 10 000 small and medium-sized enterprises only under the JEREMIE fund during the outgoing programming period,” Plevneliev declared, calling for even more ambitious goals and cooperation.